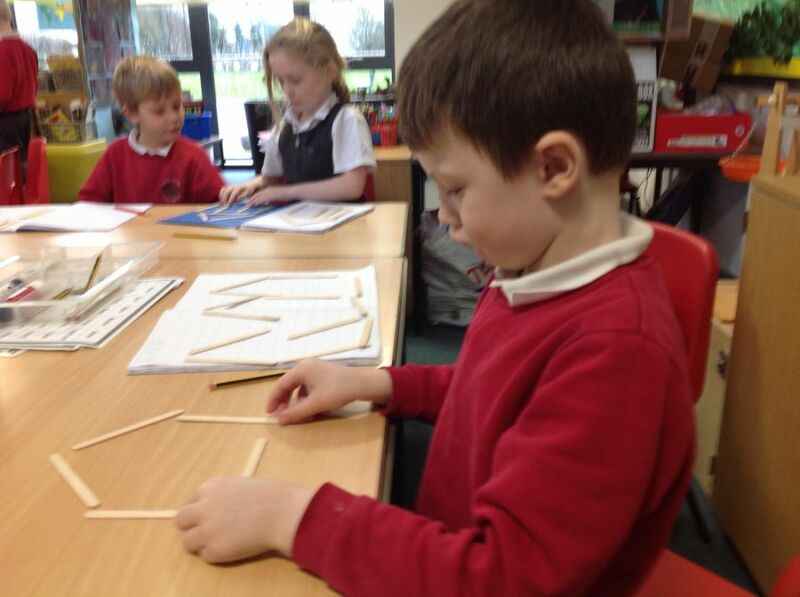 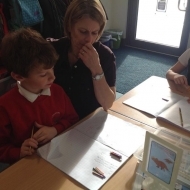 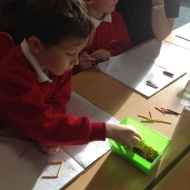 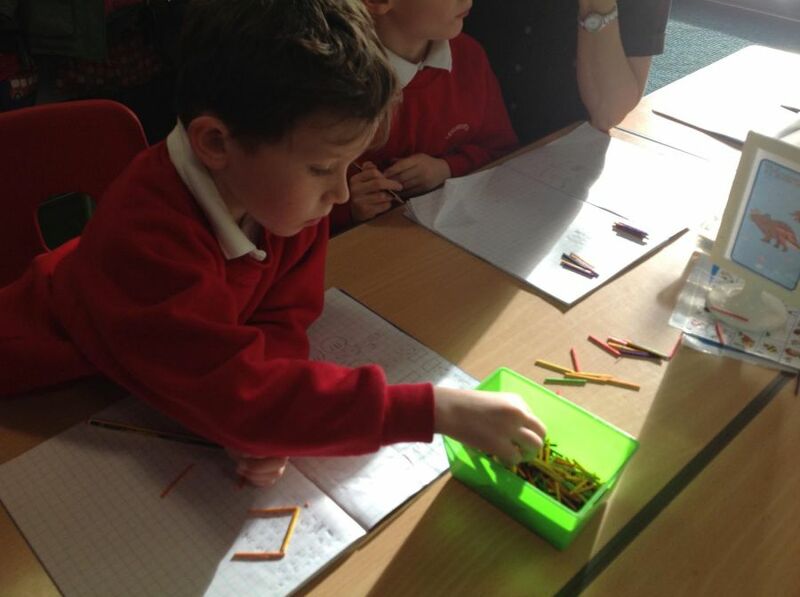 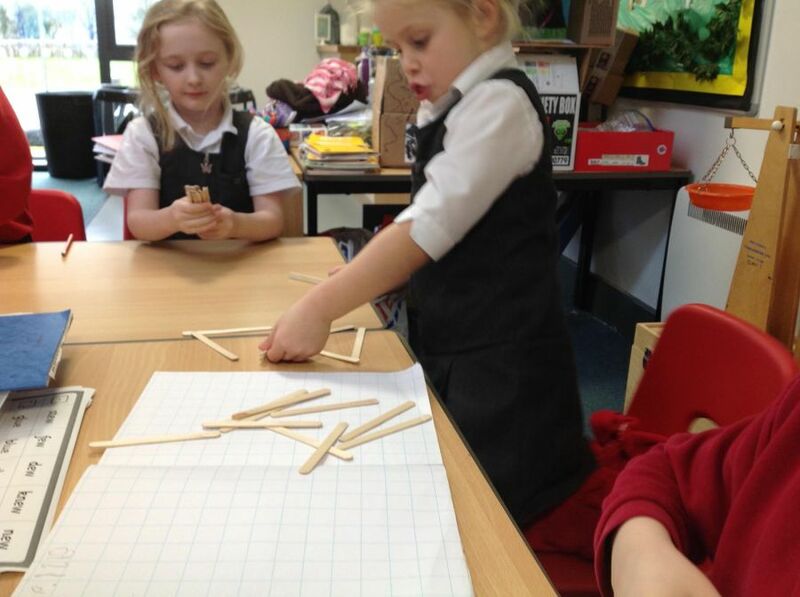 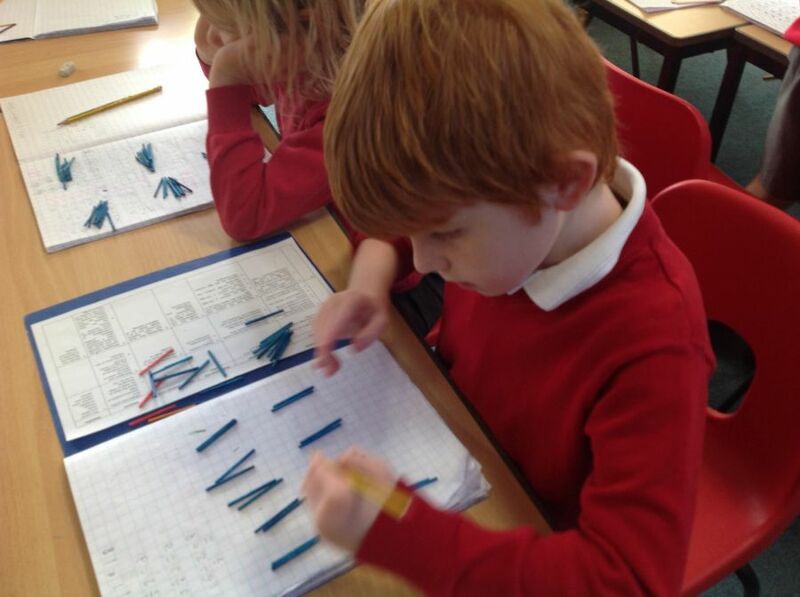 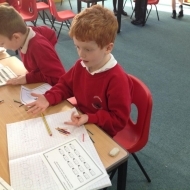 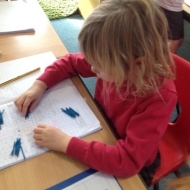 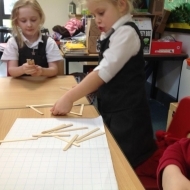 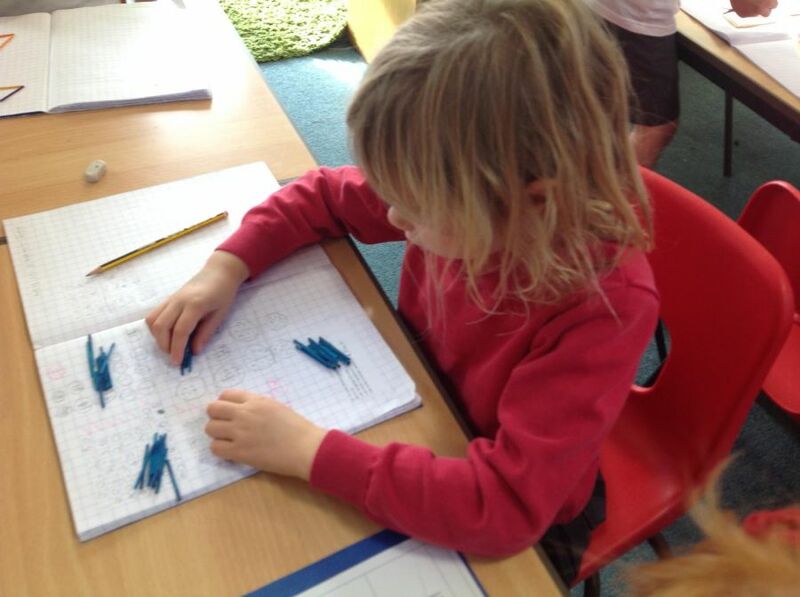 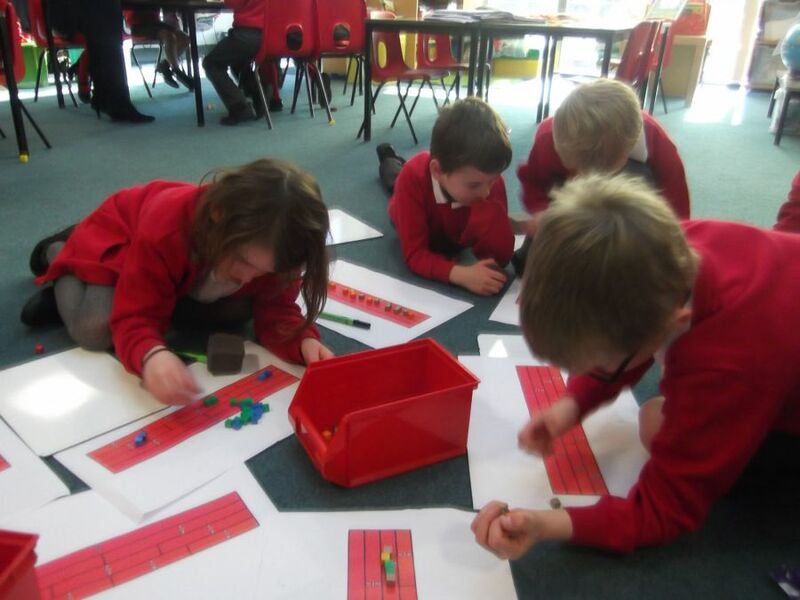 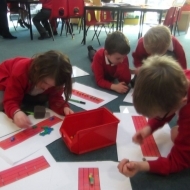 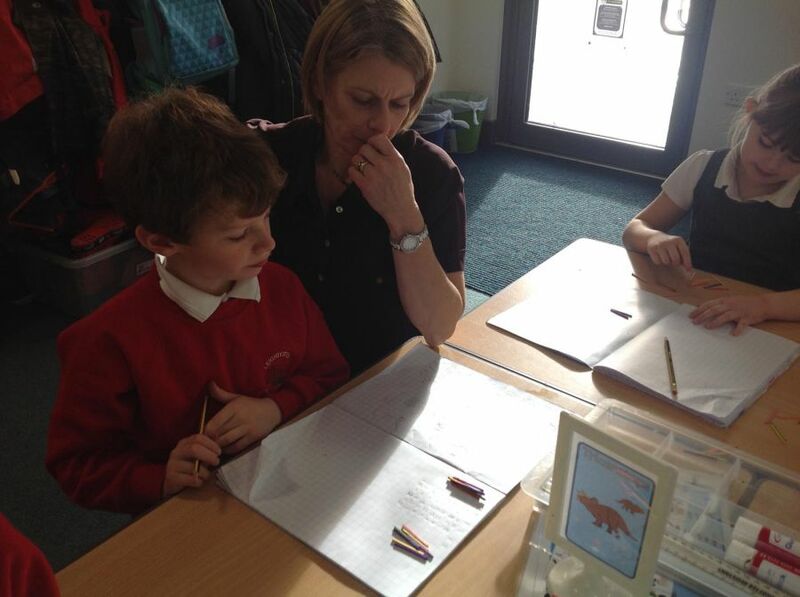 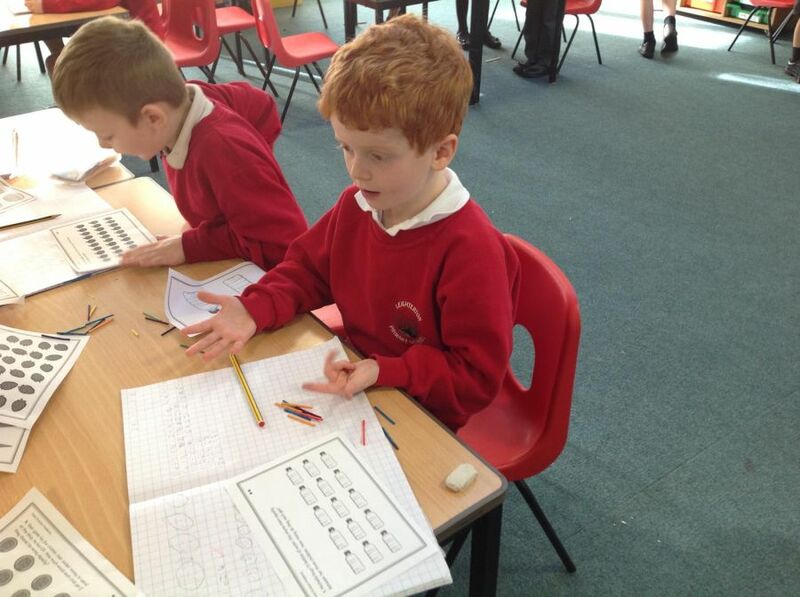 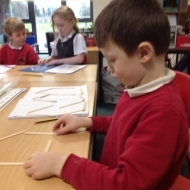 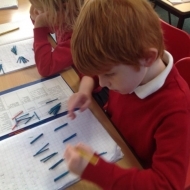 In maths this week we have been learning about division, by grouping using matchsticks. 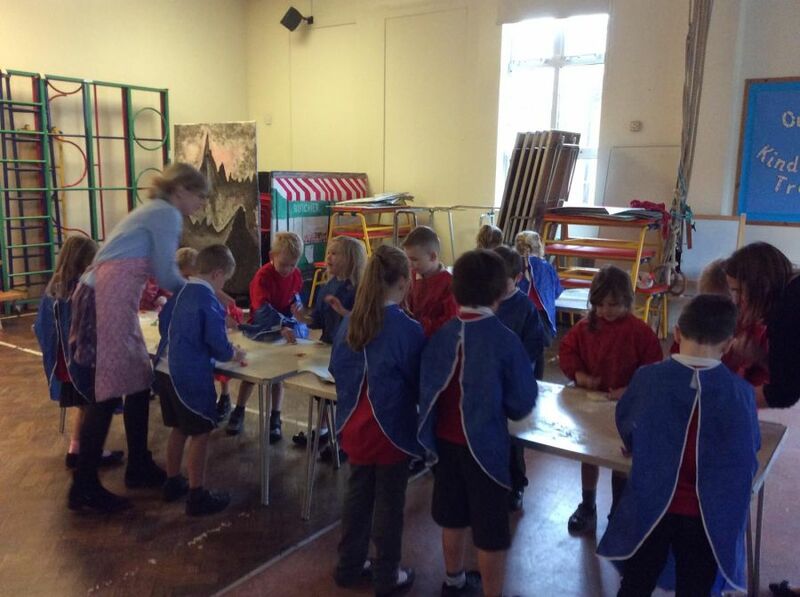 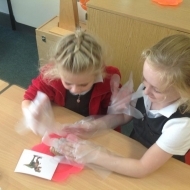 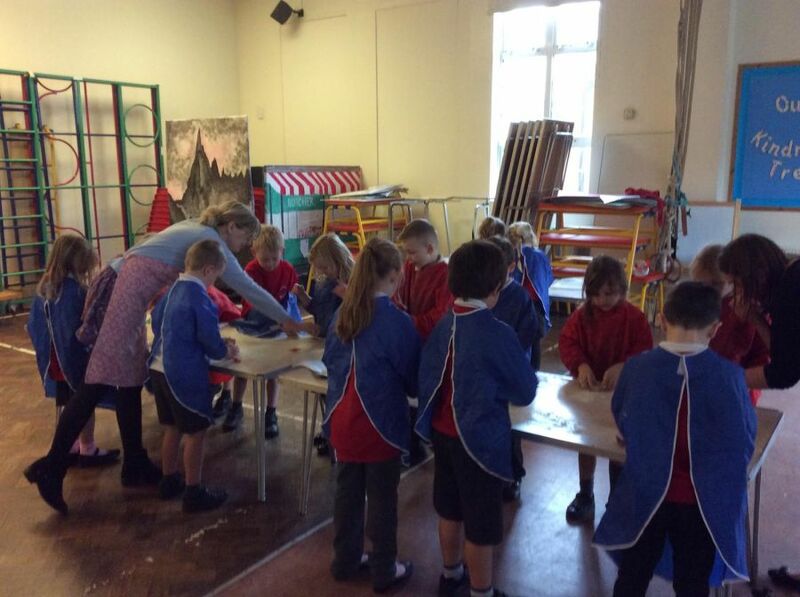 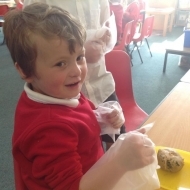 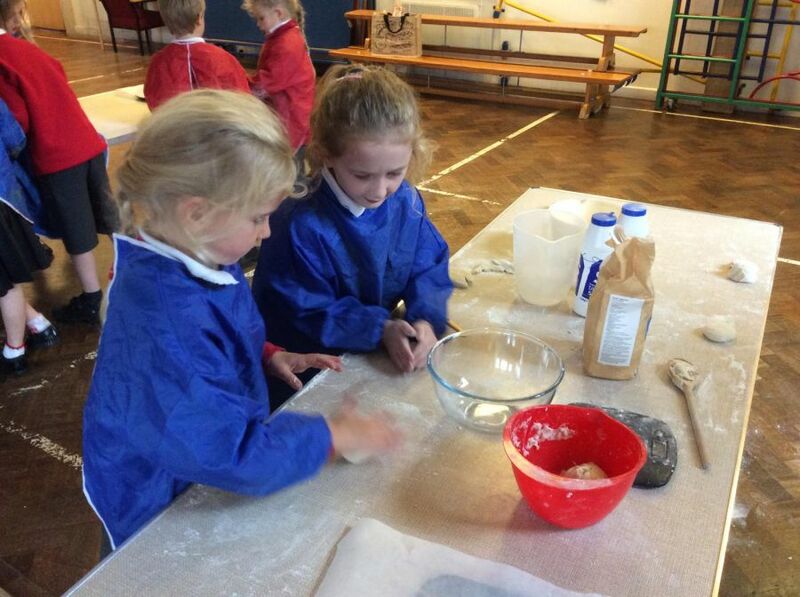 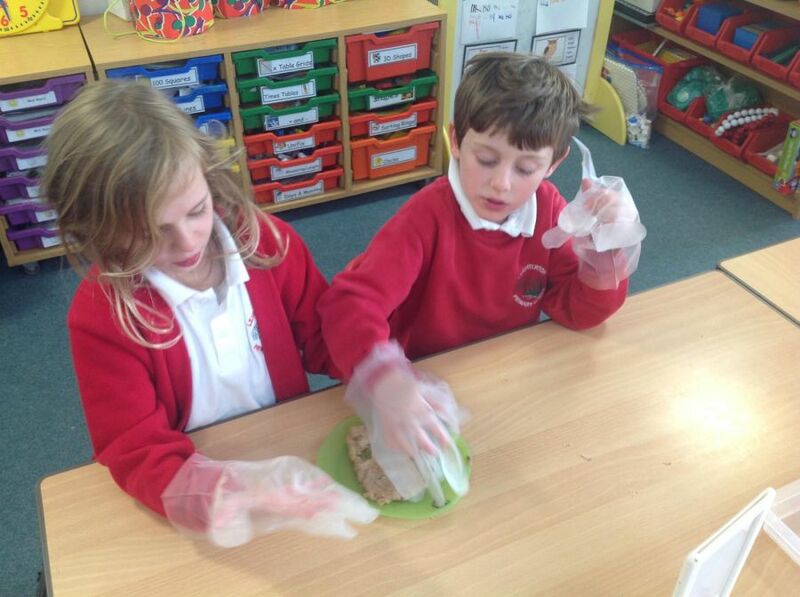 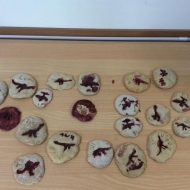 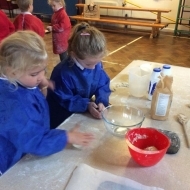 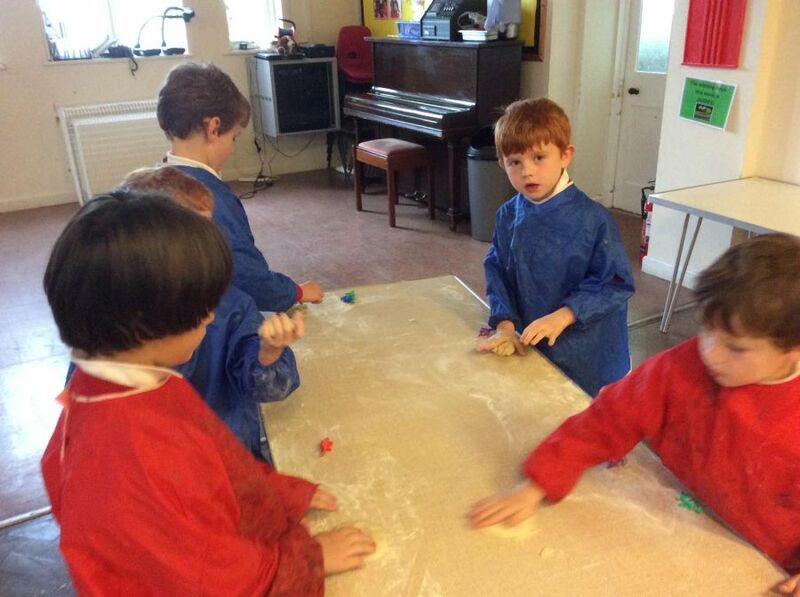 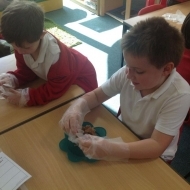 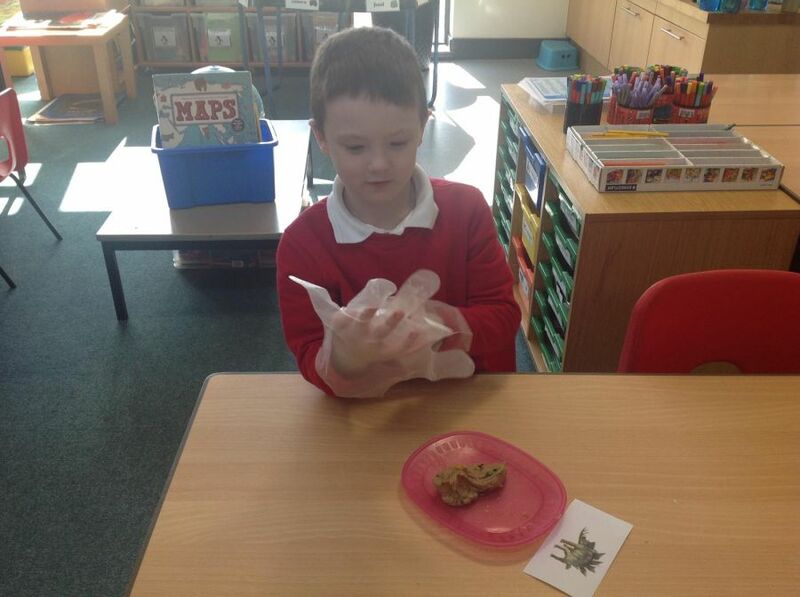 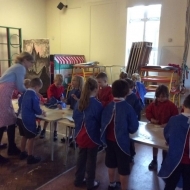 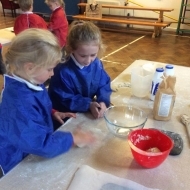 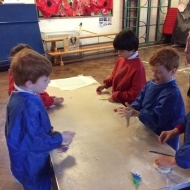 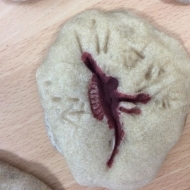 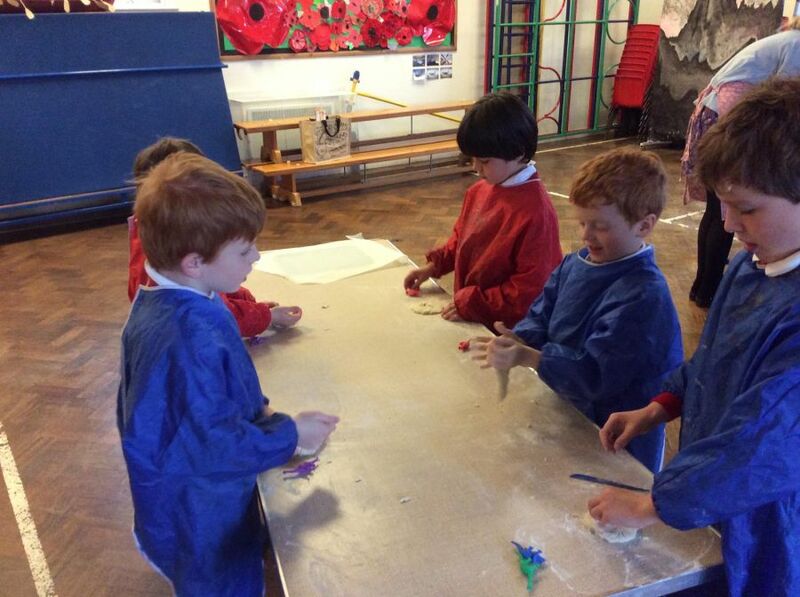 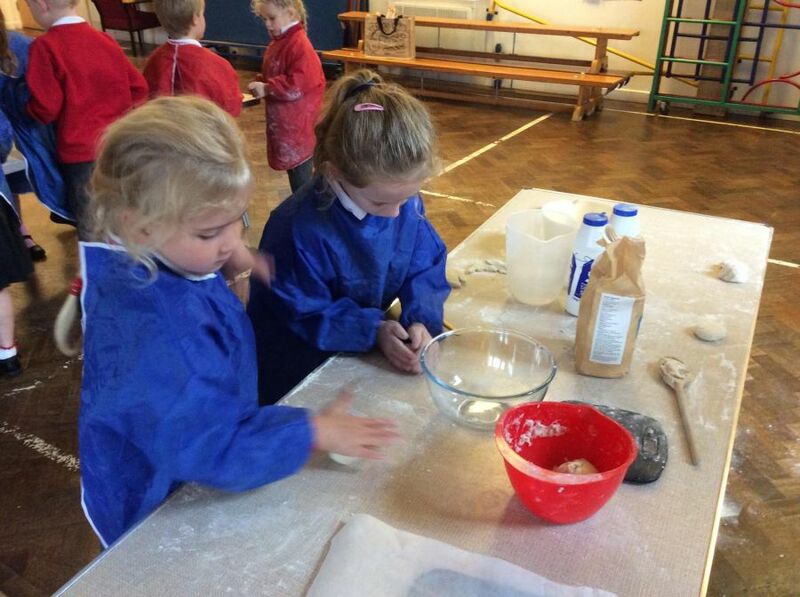 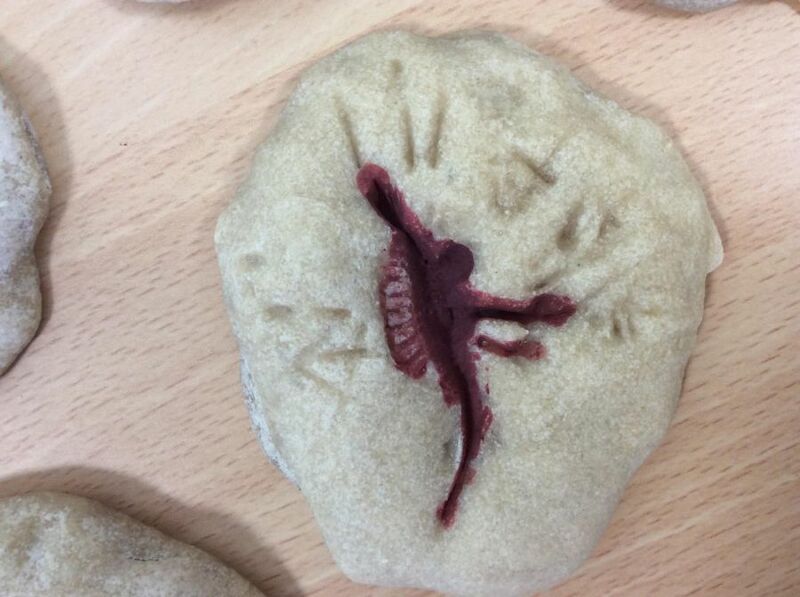 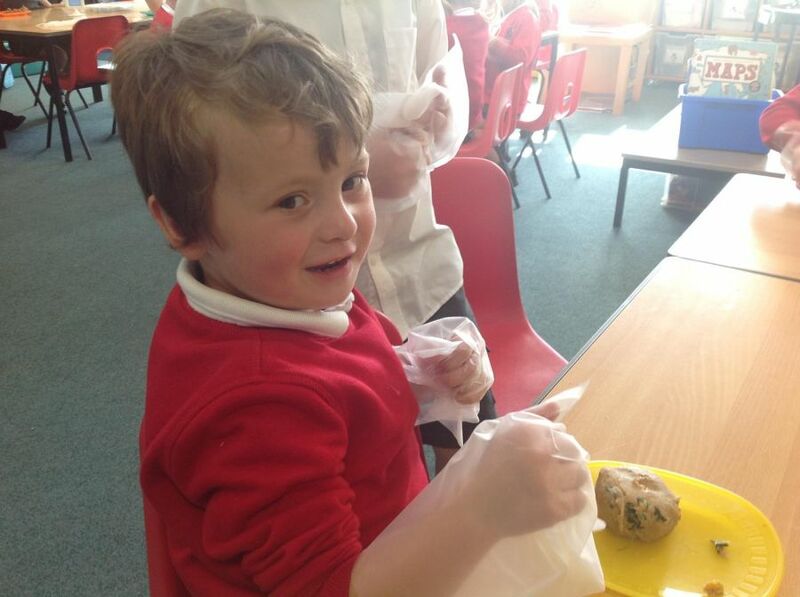 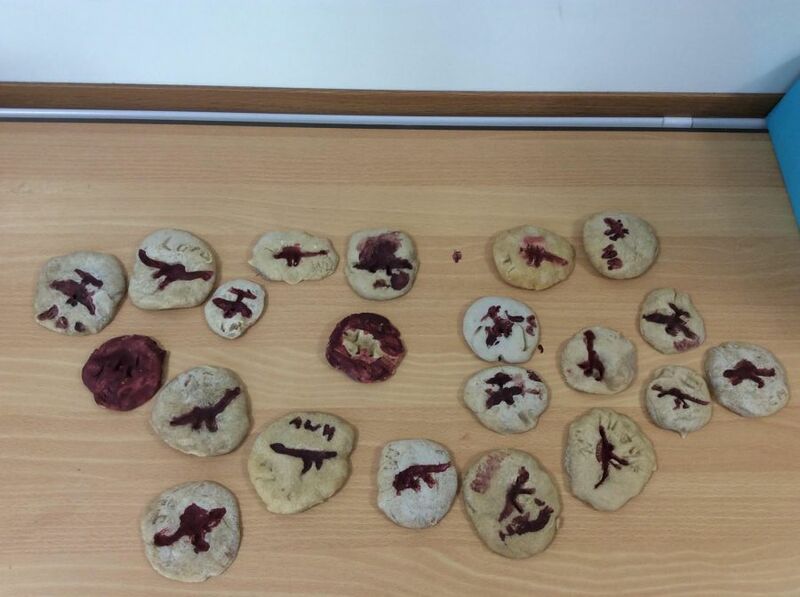 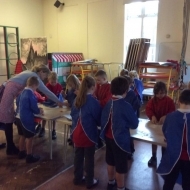 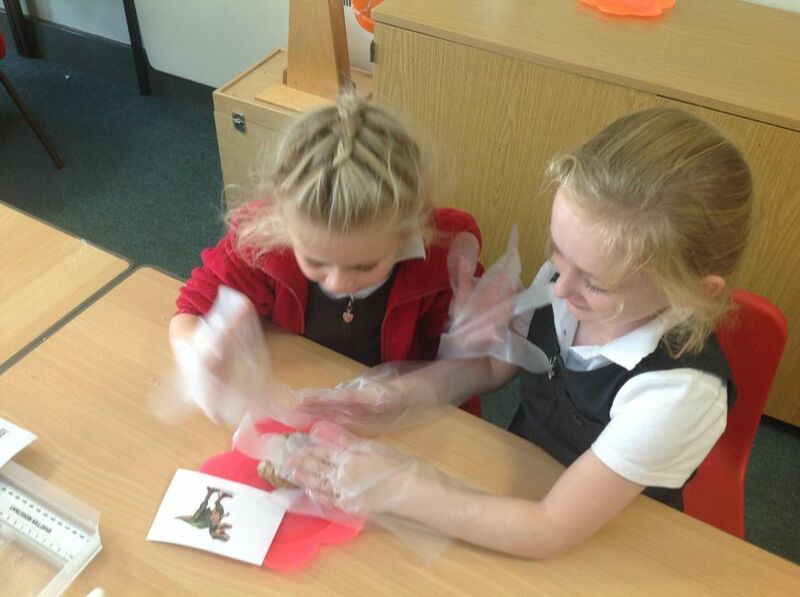 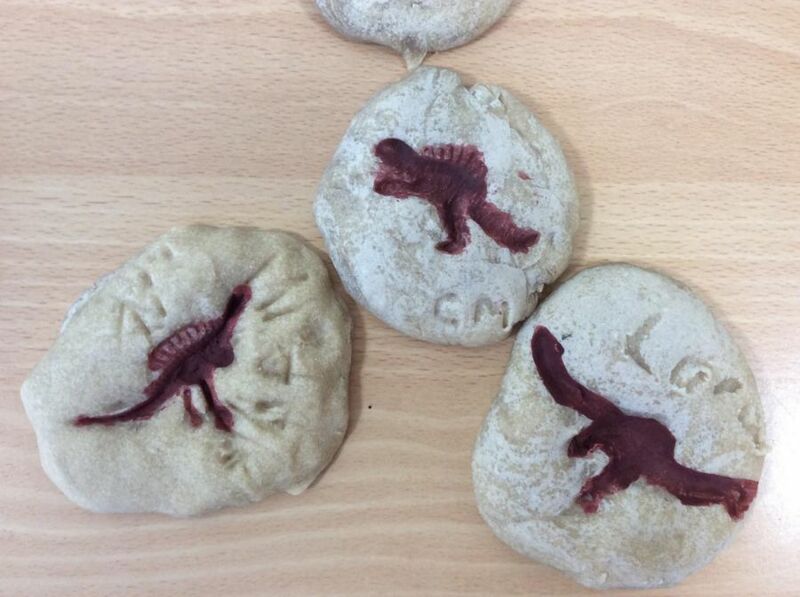 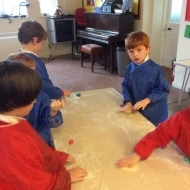 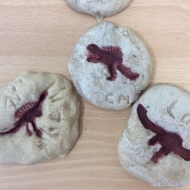 In English we have been writing instructions for making our own ‘Dinosaur Fossils’ using salt dough. 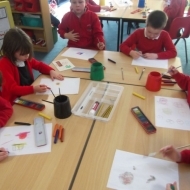 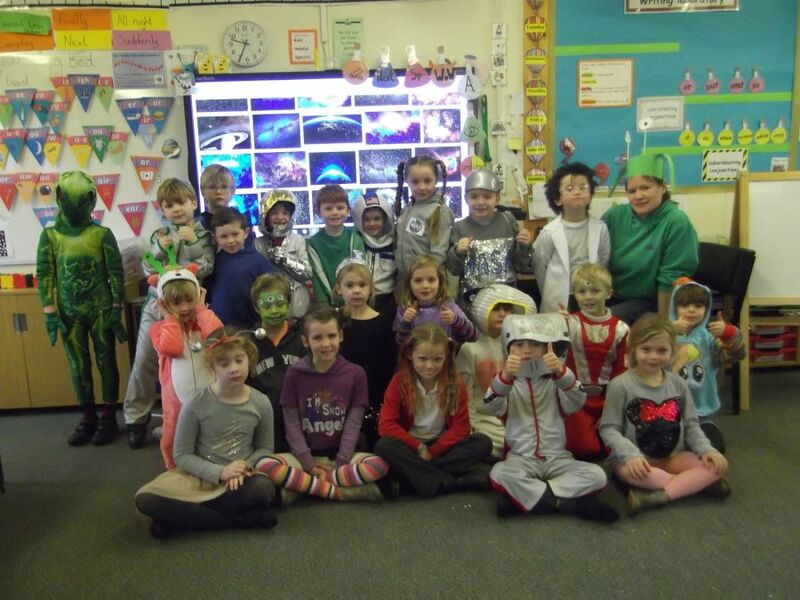 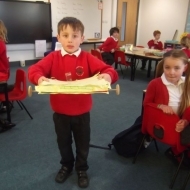 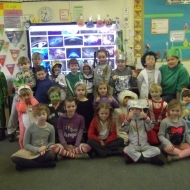 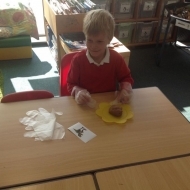 Our Class Topic this term is ‘Dinosaur Roar.’ In science we have been identifying the difference between Carnivores, Herbivores and Omnivores. 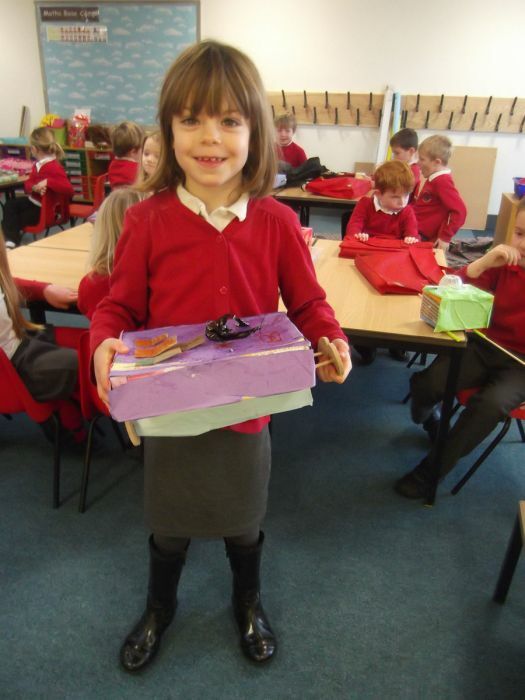 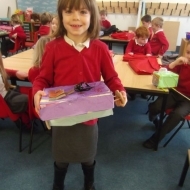 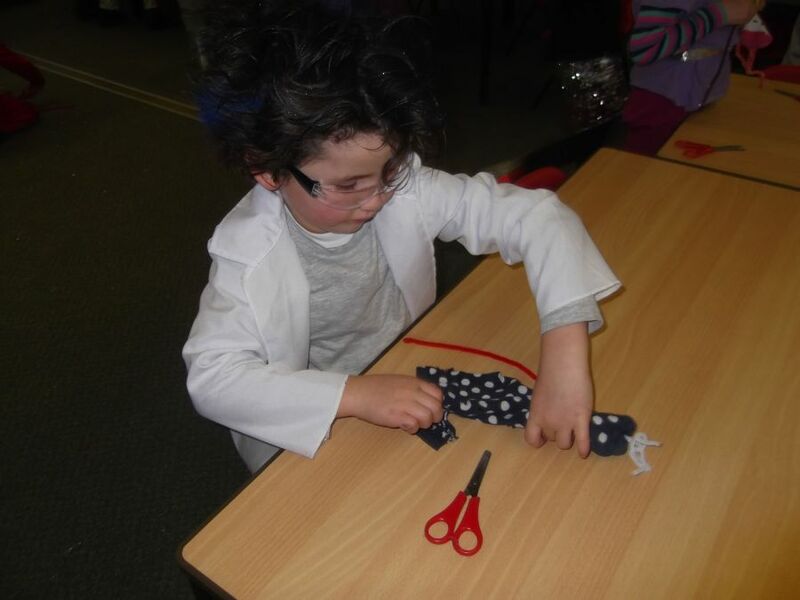 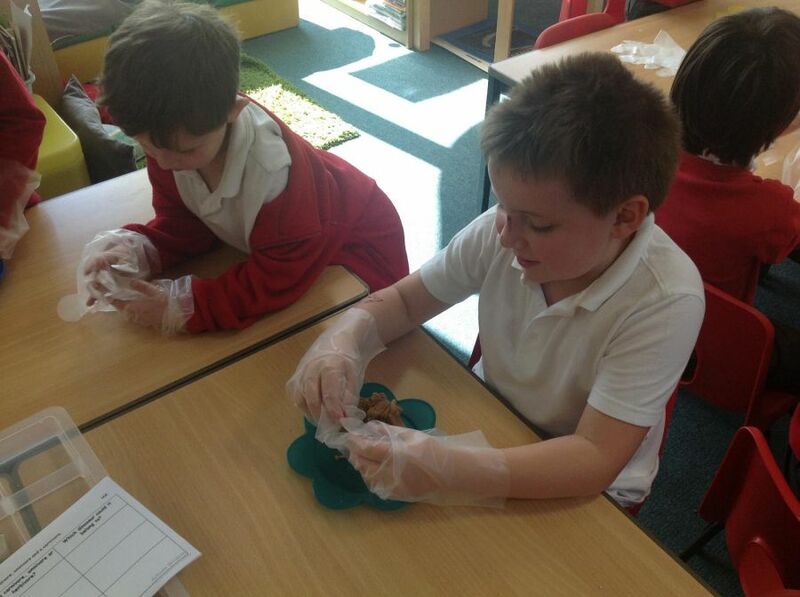 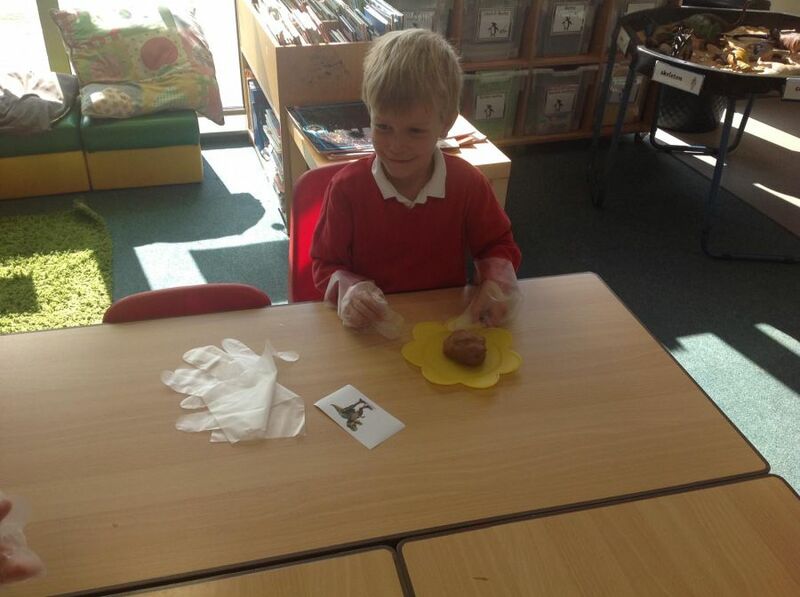 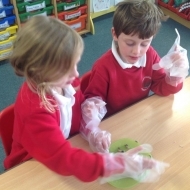 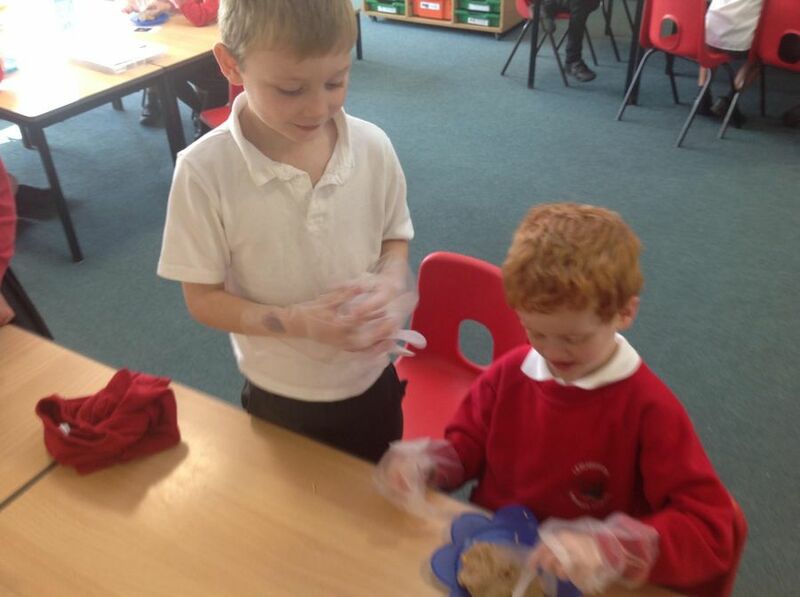 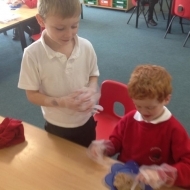 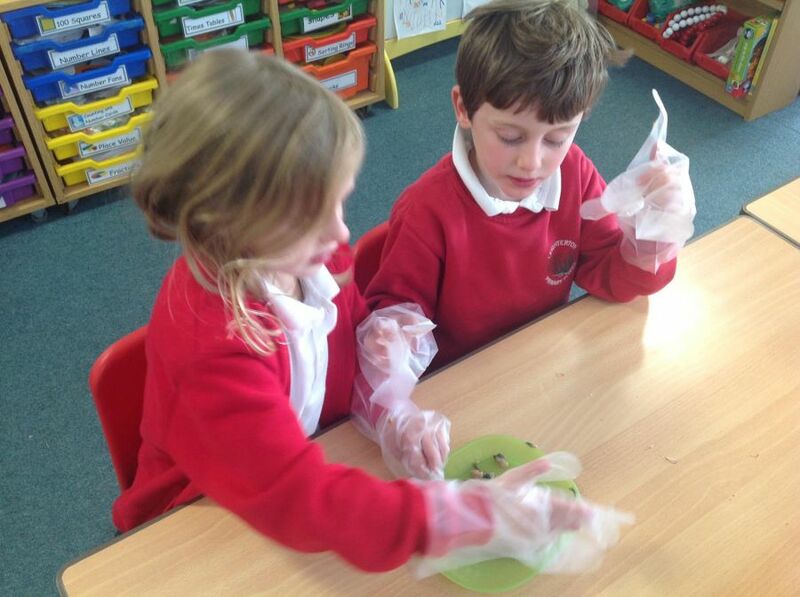 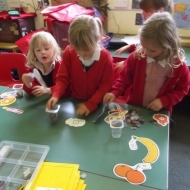 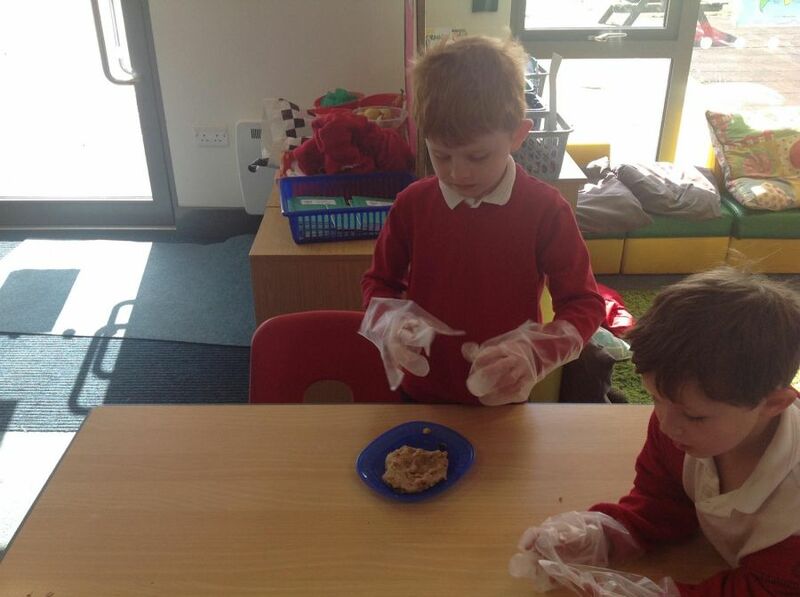 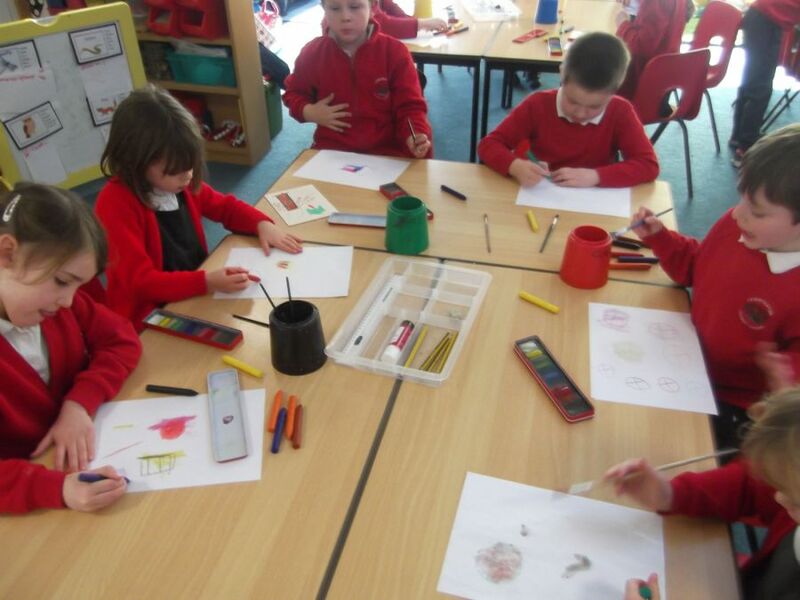 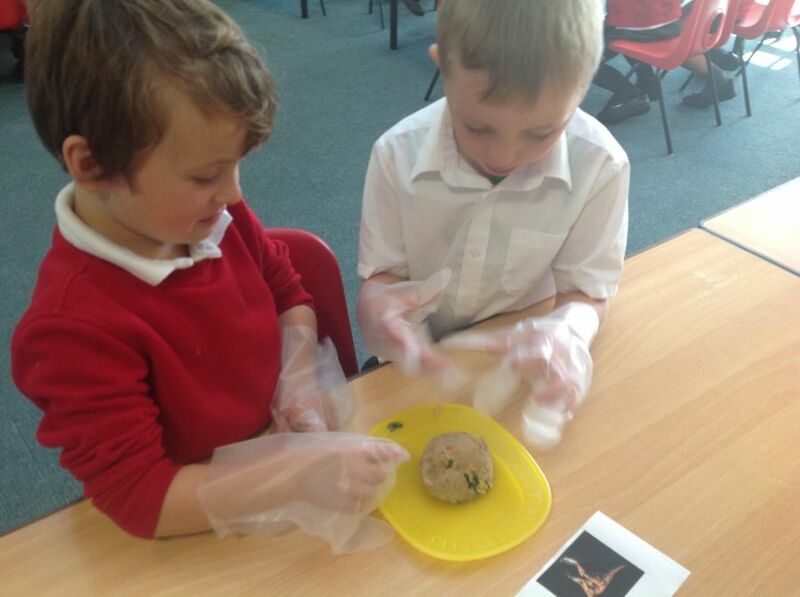 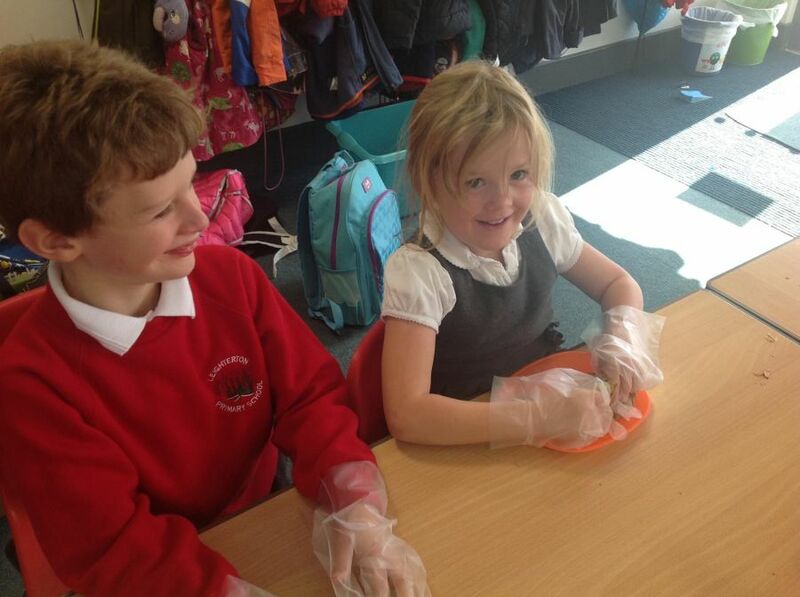 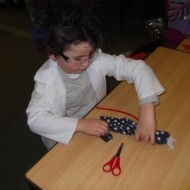 We dissected Dinosaur ‘Poo’ and discovered which Dinosaur the ‘Poo’ belonged to and explained why. 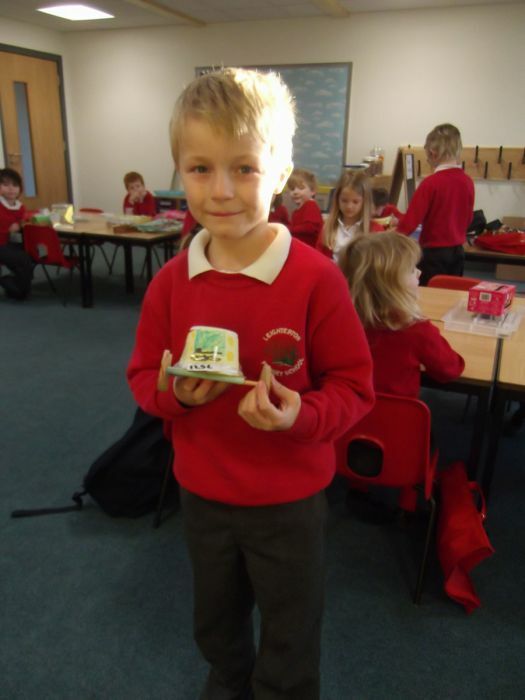 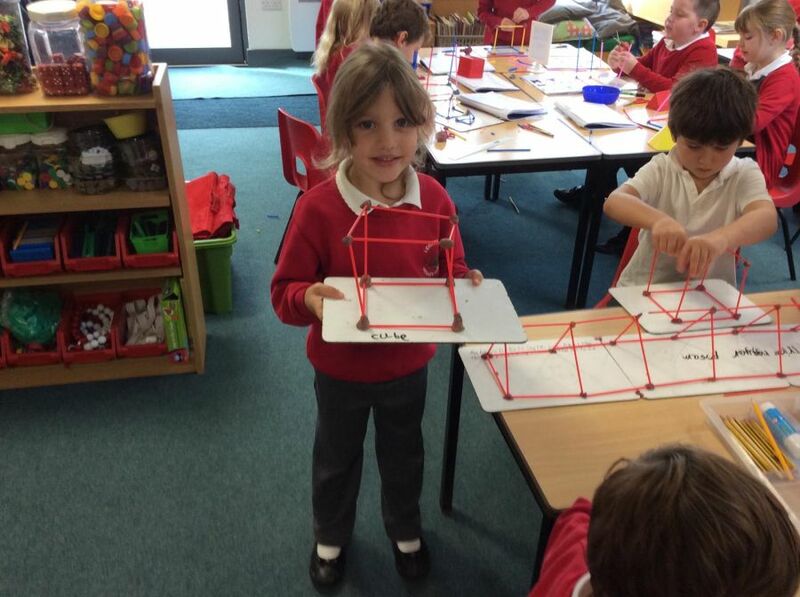 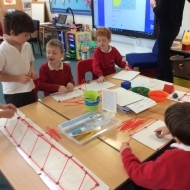 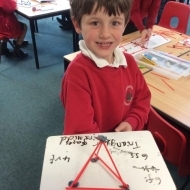 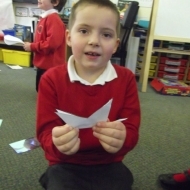 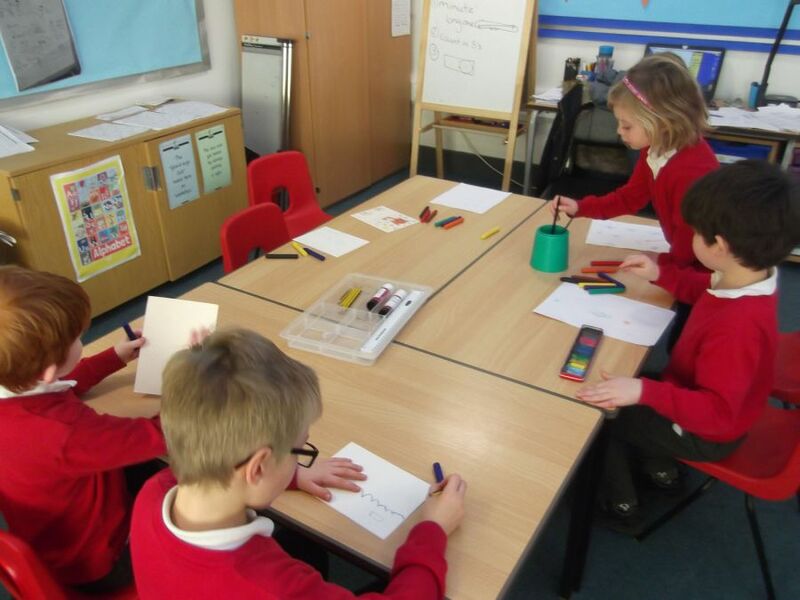 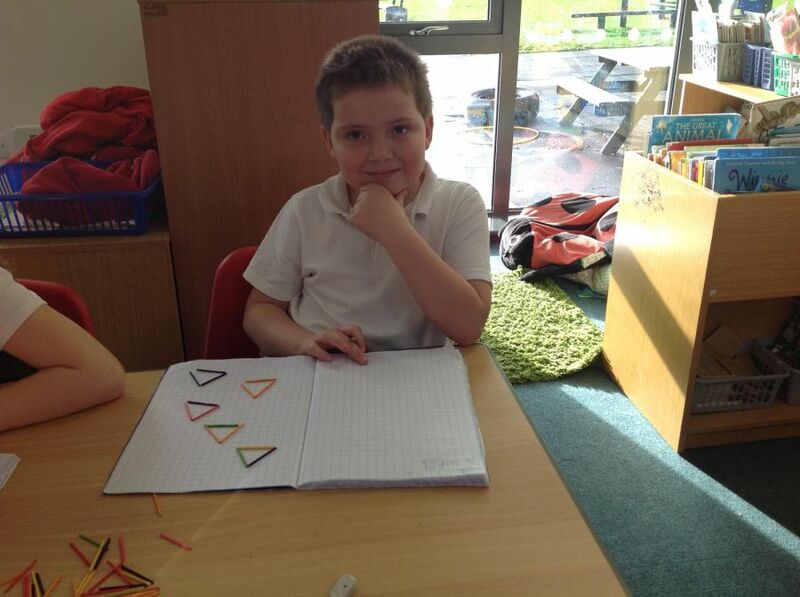 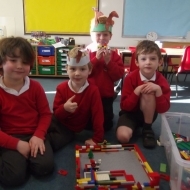 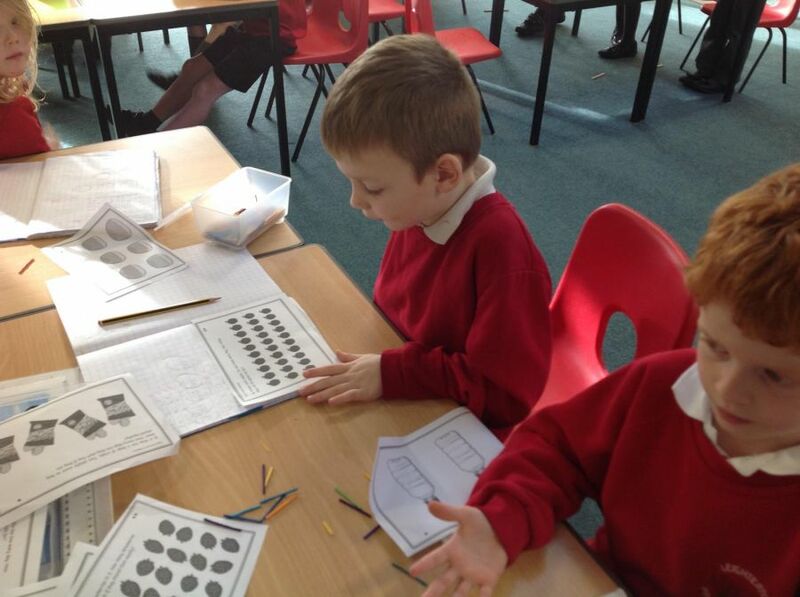 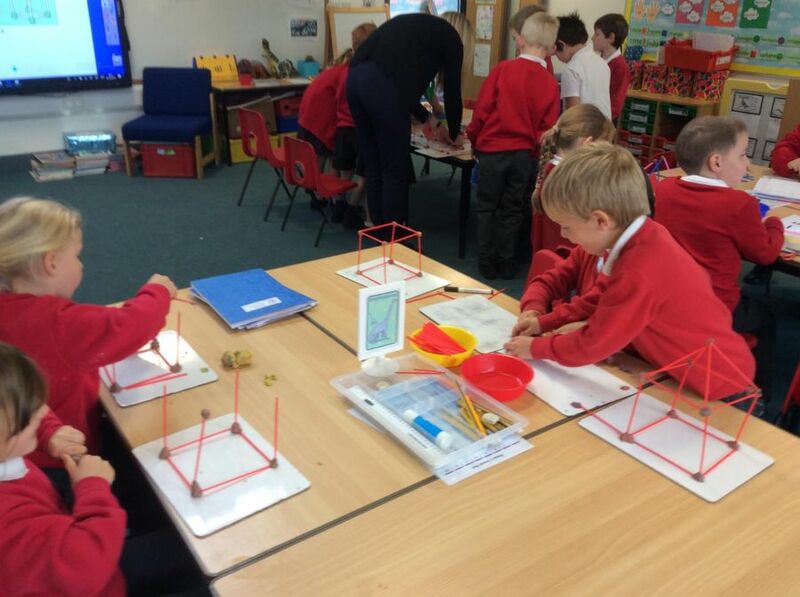 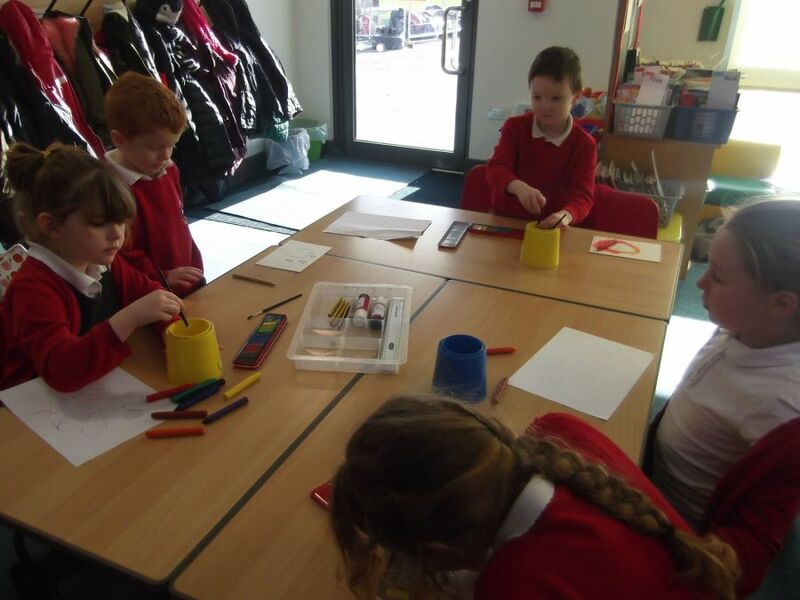 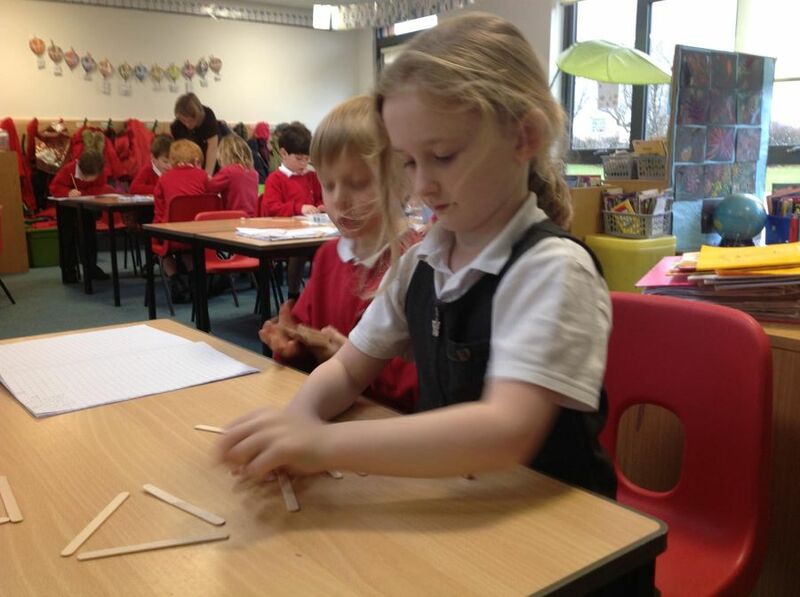 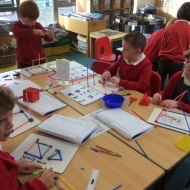 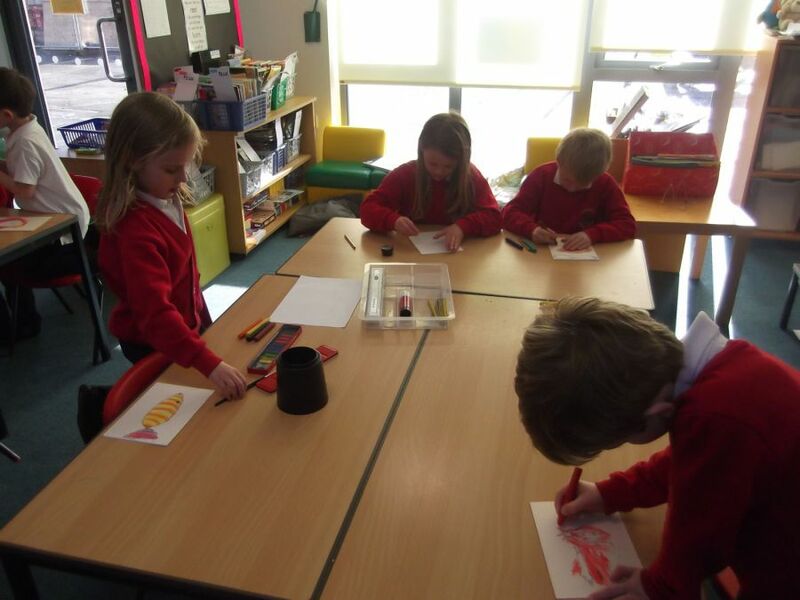 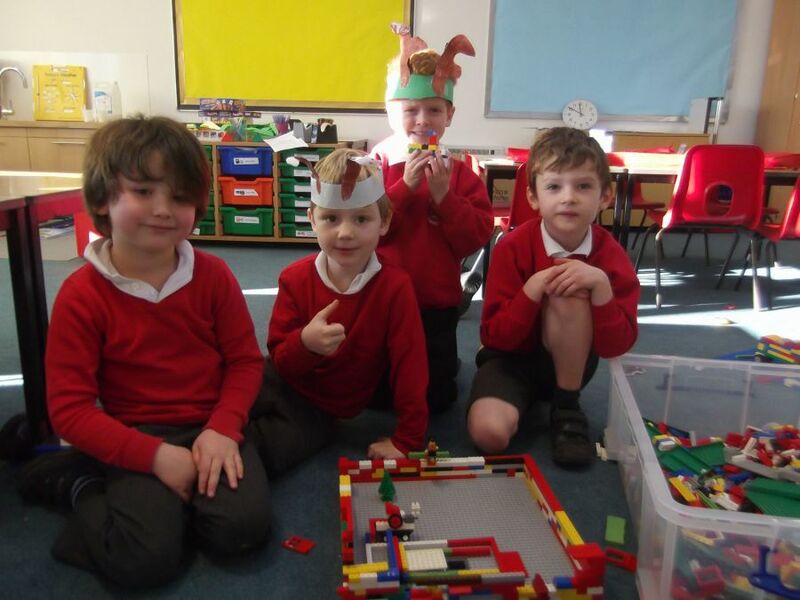 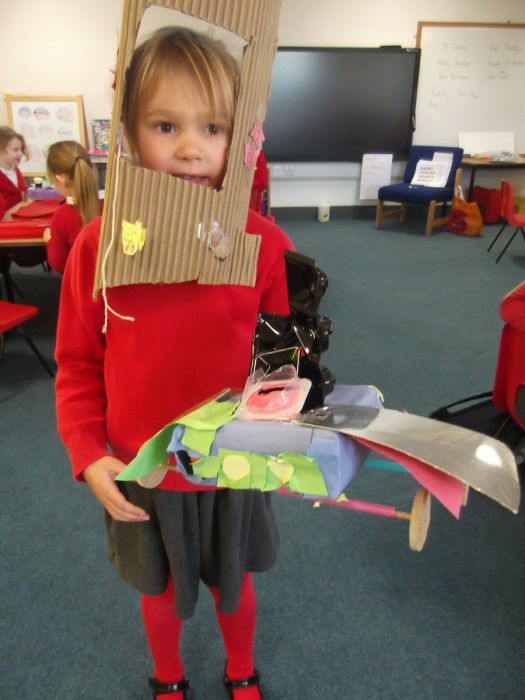 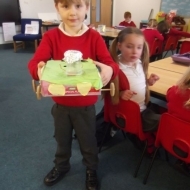 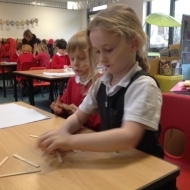 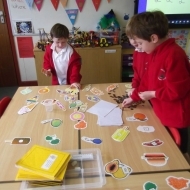 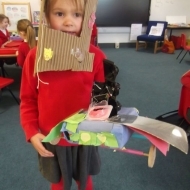 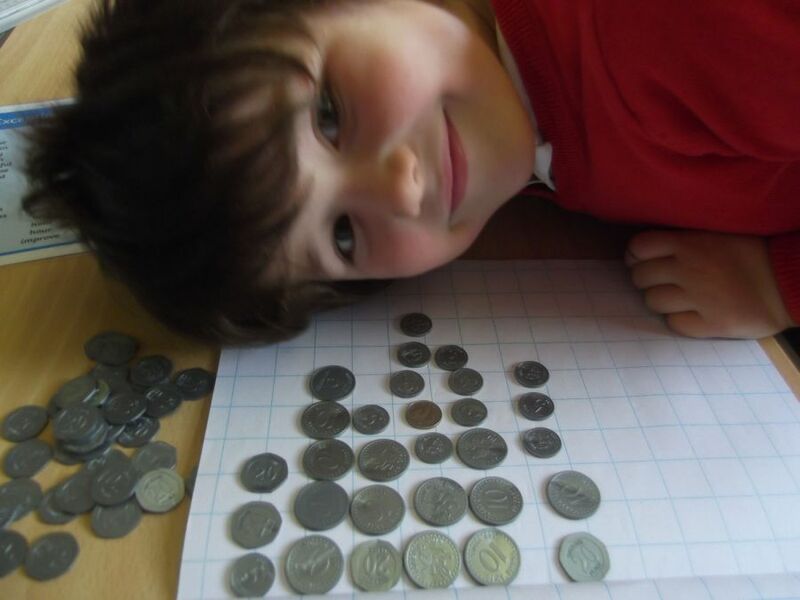 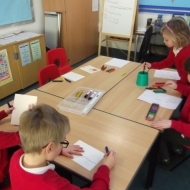 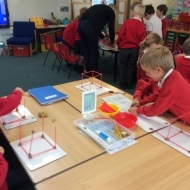 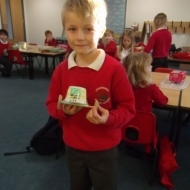 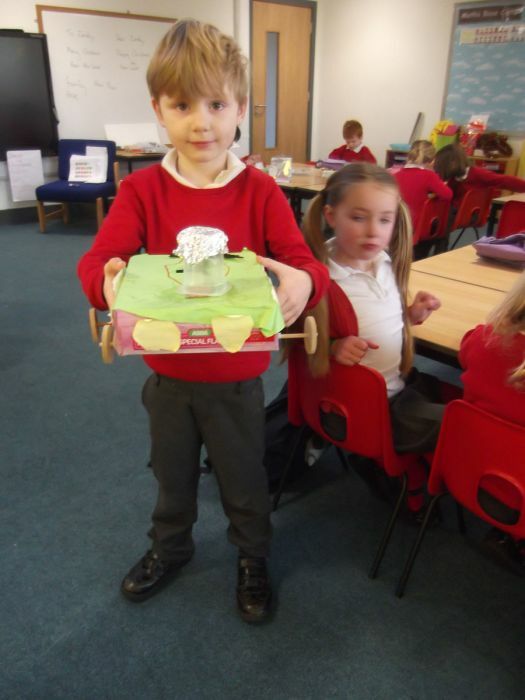 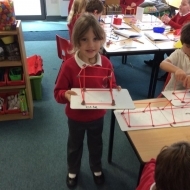 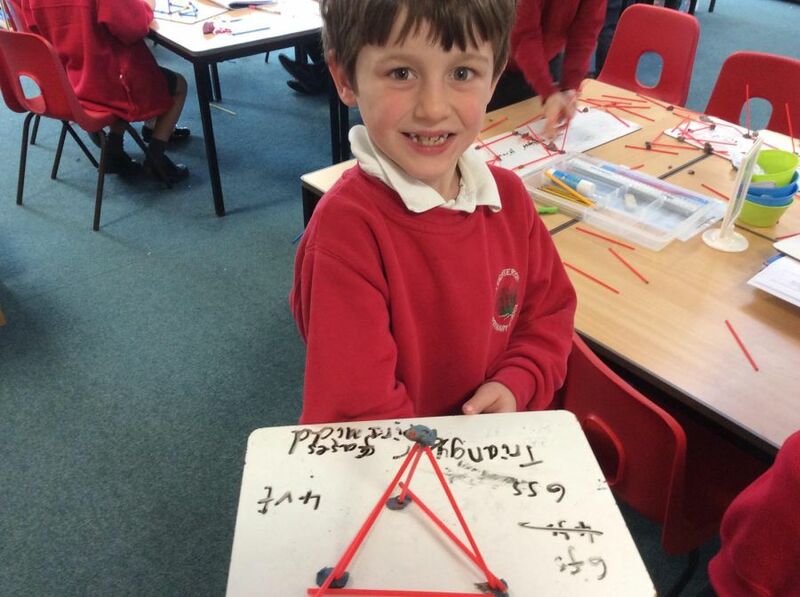 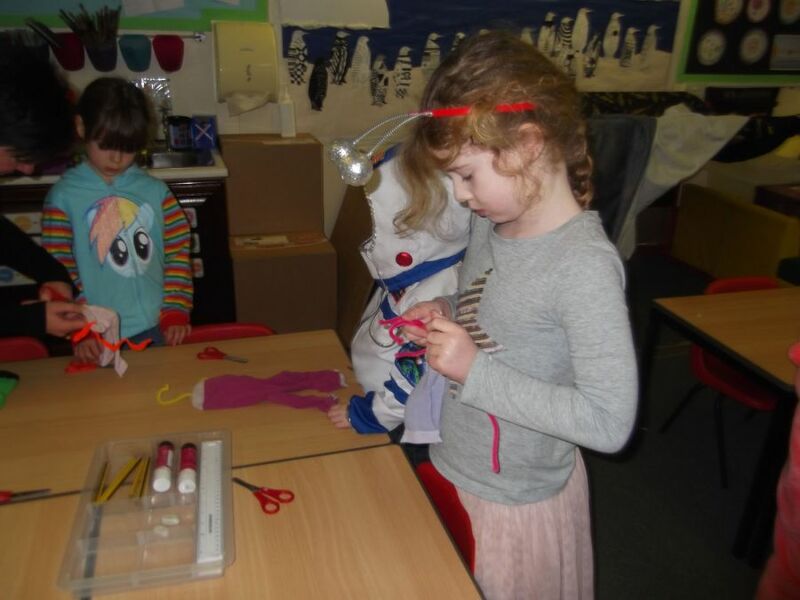 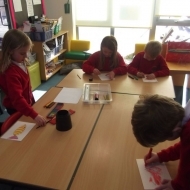 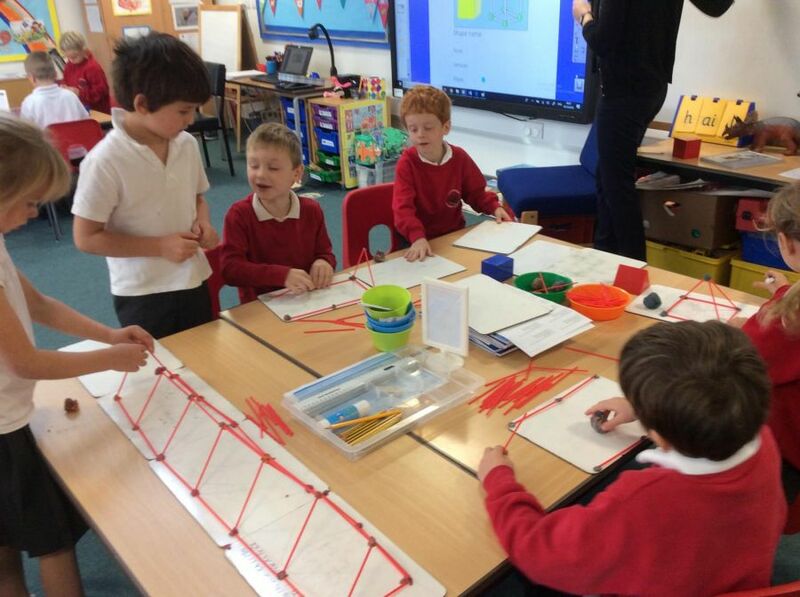 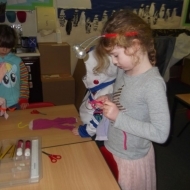 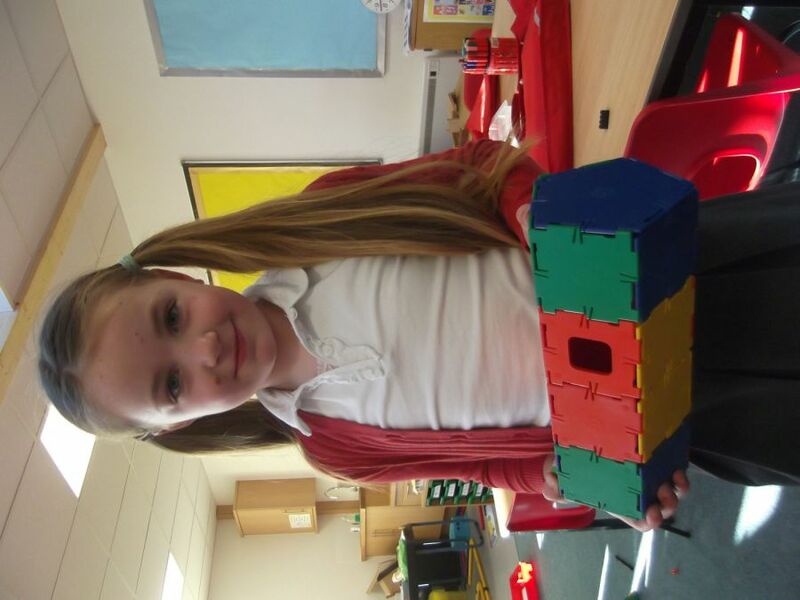 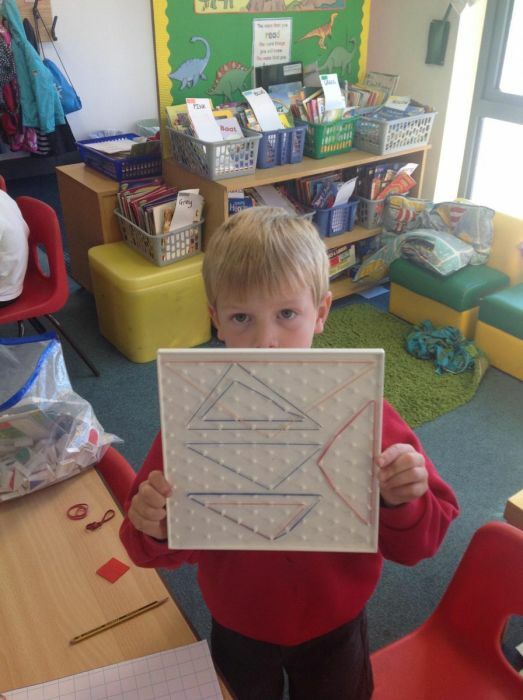 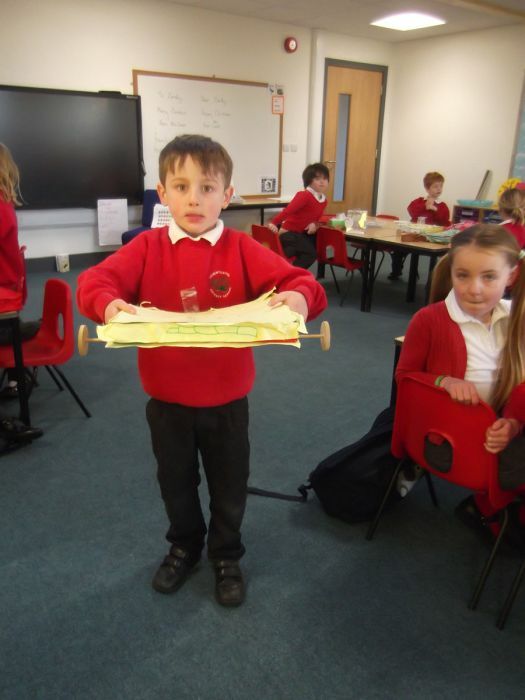 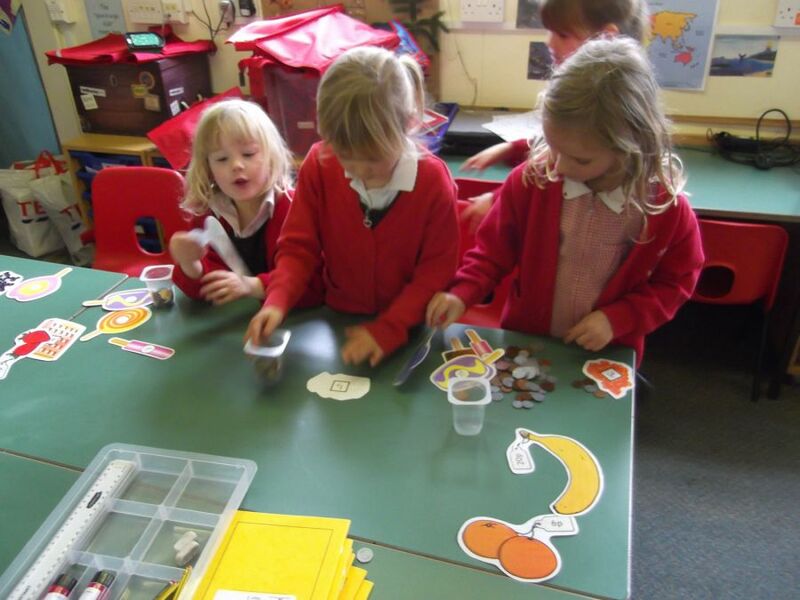 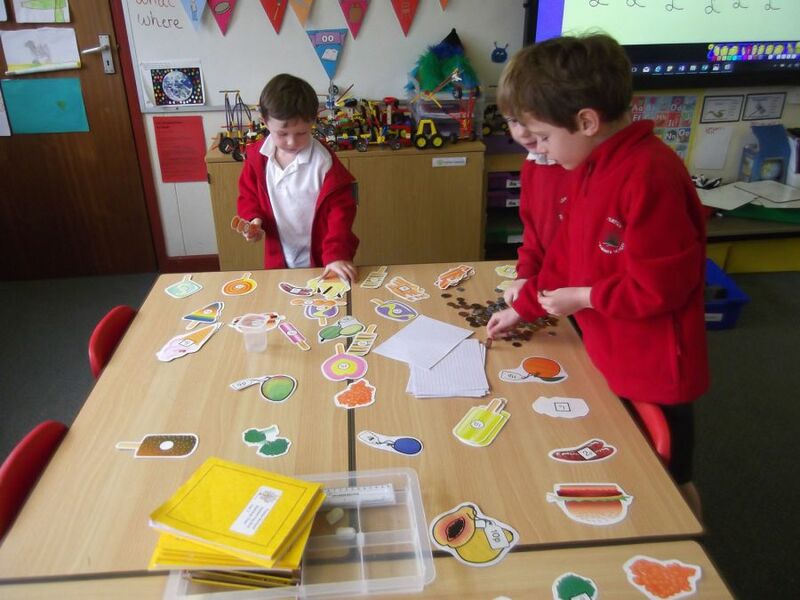 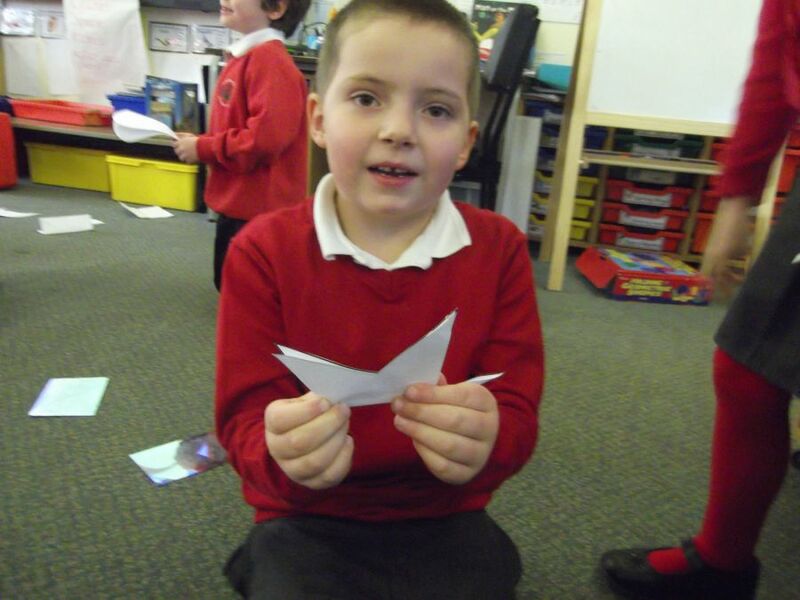 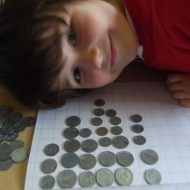 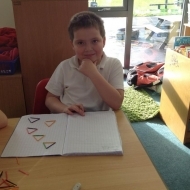 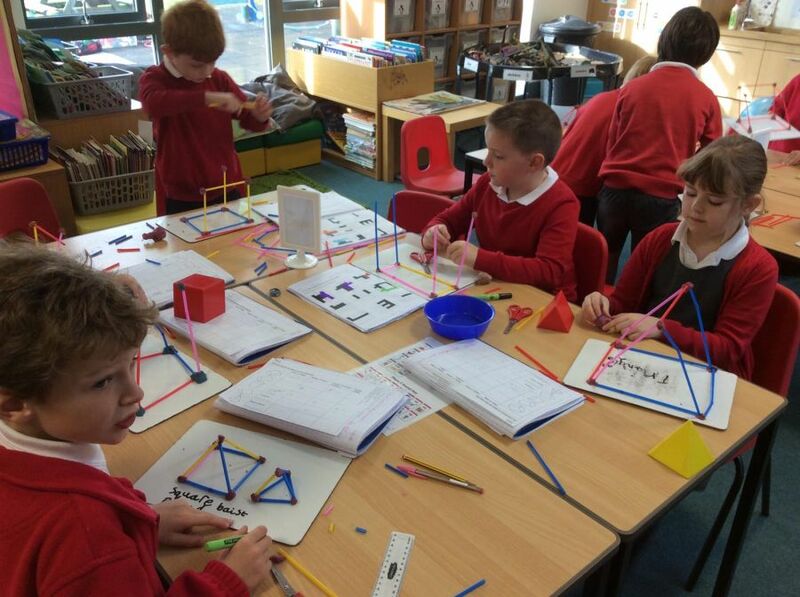 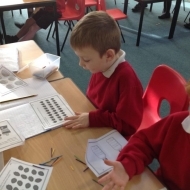 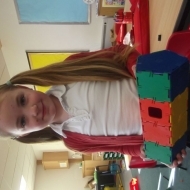 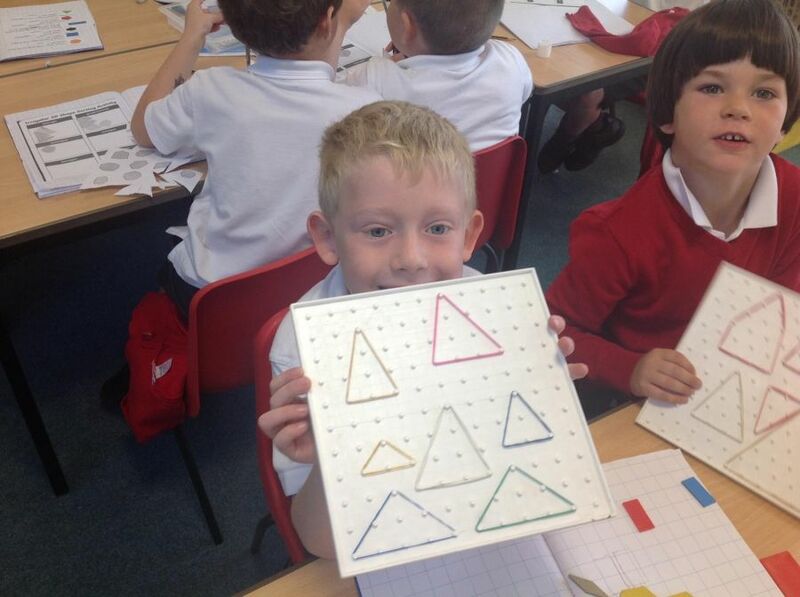 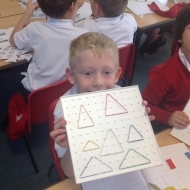 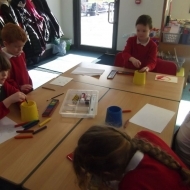 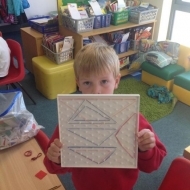 In maths we have been exploring the properties of 2D and 3D shapes.